Our sheep produce fine wool and delicious meat. They graze from May through September and consume hay in the winter months. We offer a beautiful selection of raw fleece, roving, and worsted weight skeins from our Merino and CVM Romeldale ewes. 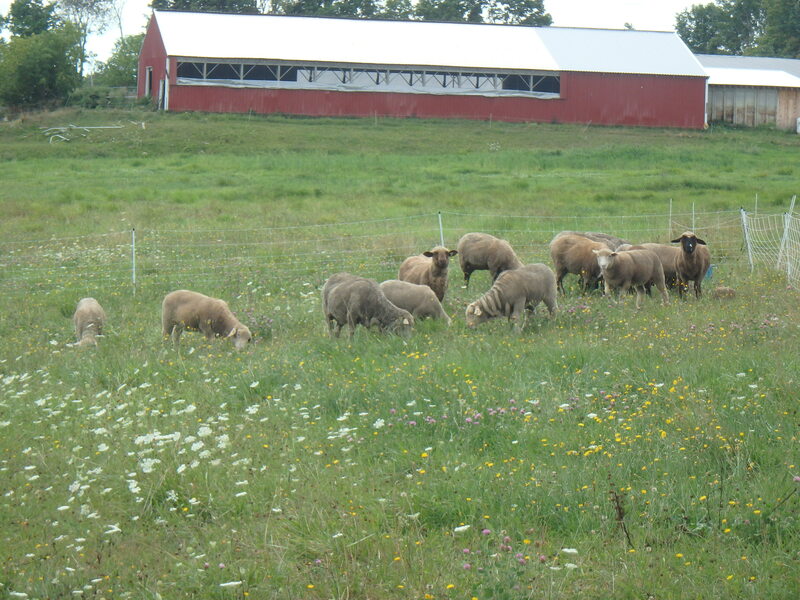 Our lambs are 100% grass-fed and produce primo lamb chops, roasts, ground, stew, & shank.